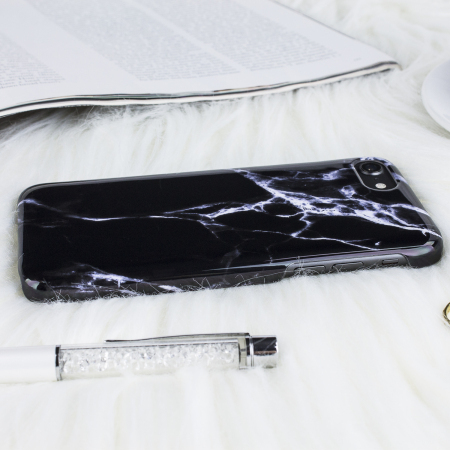 Enhance and protect your iPhone 8 / 7 with this glamorous black case from LoveCases. 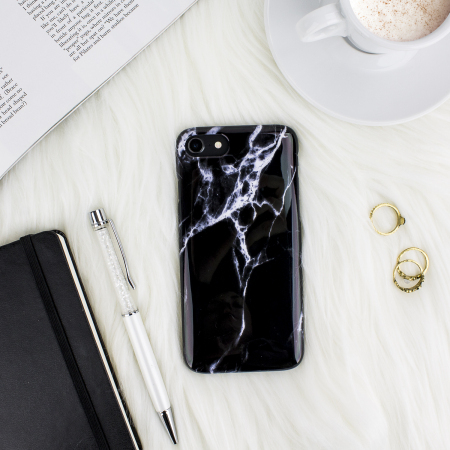 Your iPhone fits perfectly into the secure, durable frame, while a classical marble-effect design adds a touch of historic prestige to your already-gorgeous device. Tried the product, cute design, sturdy ...love it, very unique, highly recommend! 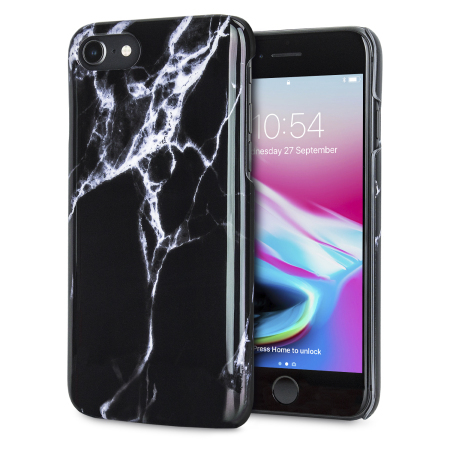 Comprising a single piece of ultra-thin polycarbonate overlaid with a beautiful marble-effect aesthetic, this iPhone 8 / 7 case truly brings the bling without ever being tacky. 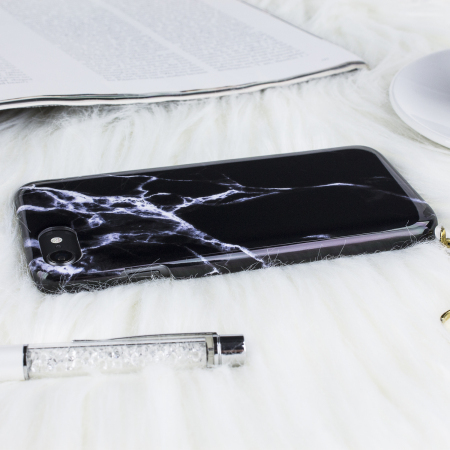 The Marble case from LoveCases wraps itself effortlessly around your device, clinging to its every contour and providing protection while augmenting the aesthetic of your iPhone and looking simply stunning while doing so. 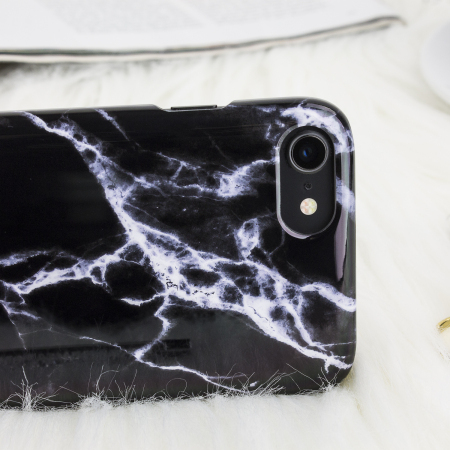 On the back and sides of this case is a stunning marble-effect pattern, which brings a touch of historic antiquity to your iPhone 8 / 7 and serves as the perfect blend of the modern and the classical. The pattern is aesthetically pleasing and catches the eye when the device is placed face down or while you're using it out and about - perfect for attracting a little extra attention at a party, for example. Lest you think this case is just a pretty face, think again. 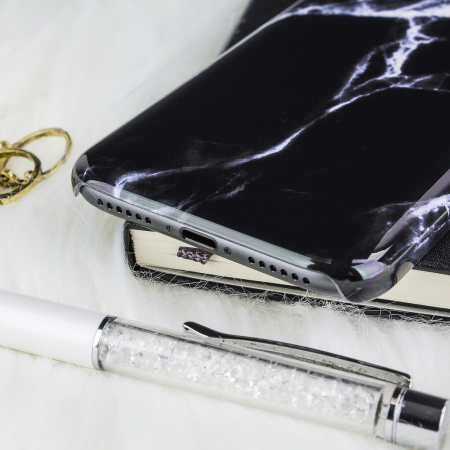 A sturdy, rigid polycarbonate frame - which nevertheless has the perfect amount of flexibility to protect your device - shields your iPhone 8 / 7 from drops, scrapes and bumps. You really can have it all with this attractive and protective cover. This extremely lightweight case provides excellent protection without adding any unnecessary bulk to your iPhone. This means that you will have no problems placing the phone in your pocket, bag or anywhere else. It also means the iPhone 8 / 7's natural form is preserved as well as protected. 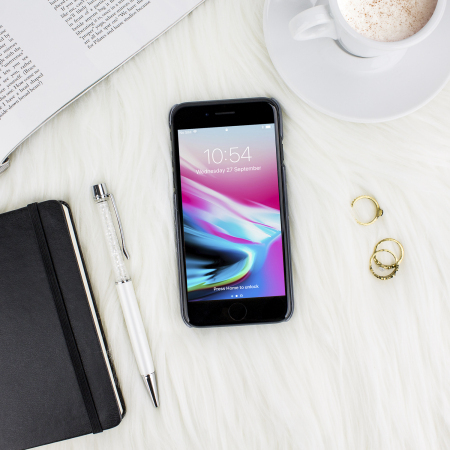 Designed specifically with the iPhone 8 / 7 in mind, you can rest assured that the ports and features of your device will remain fully exposed - including the rear camera, charging port and volume keys - so you can use your phone to the fullest capacity while it is in the case.